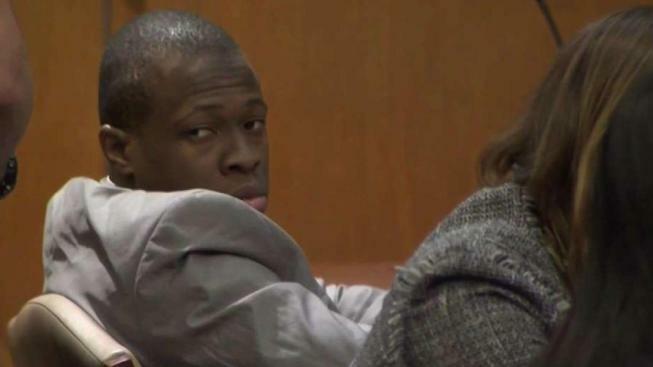 A jury found Chanel Lewis guilty on all counts at his retrial for the murder of New York City jogger Karina Vetrano, a case that stirred urban fears, helped change the state's DNA-investigation rules and raised questions about race and police procedures. Lewis was found guilty of murder and sexual abuse in connection with the death of the 30-year-old, who vanished while out for a run in her Howard Beach neighborhood in August 2016. Video from inside the courtroom shows Vetrano's loved ones erupting in cheers as the verdict was read. Lewis, however, didn't have any visible reaction. "Jubilation. Justice. Justice has been served," the victim's father, Phil Vetrano, said while leaving court. The jury reached the verdict on Monday evening, after five hours of deliberation. Closing arguments wrapped up in the afternoon, after a nearly three-week-long retrial. In a statement issued on behalf of Queens District Attorney Richard Brown Monday evening, Chief Assistant District Attorney John Ryan called Vetrano's death "a horrifying case." "It is my hope that as this case draws to a close, it will give the family of the victim some closure and comfort knowing her killer will likely spend the rest of his life behind bars," Ryan said. Lewis' attorneys, the Legal Aid Society, called the outcome "a complete miscarriage of justice." They had unsuccessfully sought a hearing Monday after getting an anonymous letter saying that police had pursued two white suspects before taking DNA samples from hundreds of black men - in what the defense called a "race-biased dragnet" - and coming to focus on Lewis. "Our client did not receive a fair trial," the Legal Aid Society said, adding that it would appeal. A previous trial ended in a hung jury in November. Although the retrial consisted of information and evidence presented in the first trial, startling allegations and new testimony were also presented in court this time around. Attorneys for Lewis dropped a bombshell allegation in court Monday, asking for new hearings based on an anonymous letter that suggested "possible alternate suspects" in the case. Prosecutors argued the anonymous letter writer was trying to "derail the trial." The judge denied the defense motion, but the team was submitting other applications to dismiss the case against Lewis. Despite DNA evidence that authorities said linked Lewis to the scene and a taped confession, the first trial ended in a hung jury in November. Unlike the first trial, Vetrano's mother testified against Lewis. Cathie Vetrano took the stand last month and testified that she last saw her daughter alive when the 30-year-old checked up on her after she returned home from Sloan Kettering after undergoing a procedure. She described how she screamed in the street after she learned her daughter was dead. “I was screaming in the street and an ambulance tried to put me in because I just had surgery. I saw my husband coming down the block and we just grabbed each other crying,” Cathie said. During opening statements, the defense returned to its previous arguments, saying the confession was coerced by detectives who wore Lewis down until he finally gave them what they wanted, "a story," and that the DNA evidence was suspect. Vetrano was brutally strangled and sexually assaulted when jogging alone in Spring Creek Park, just blocks away from home. Seven months later, Lewis, 22, from Brooklyn, was arrested and charged after being linked through DNA evidence found under Vetrano’s nails. The prosecution’s case during Lewis' first trial built on the alleged DNA and Lewis’ confession. However, the defense has said the mistrial went on to show there were issues with the DNA, including quantity and quality. His mother and family have insisted Lewis did not kill Vetrano. Lewis is set to be sentenced April 17 and faces up to life in prison.